Segbroek is a relatively new district, created only in 1988. 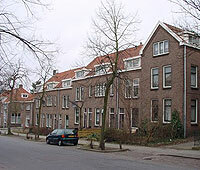 It has a diverse population and its neighbourhoods vary from prosperous Vogelwijk, which has large, expensive houses, to Regentessekwartier and the Valkenbos Quarter, where many residents live in social housing. Segbroek has a higher population density than average. Some of the more popular public areas in Segbroek are its shopping streets Fahrenheitstraat, Tomsonlaan and Thomsonplein. As with almost every district in the Netherlands, Segbroek has associations and councils that oversee the urban renewal projects in each of its five neighbourhoods: the Valkenbos Quarter, the Regent Quarter, Vogelwijk, Fruit Area and Trees and Bloemenbuurt. 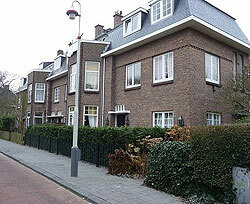 The Valkenbos Quarter was built in the early 1900s, and still has many houses from that date. Valkenbos is considered an up-and-coming district, with its bohemian features, its location close to the beach, and its Weimar Street shopping zone. But the average income is not as high as in the other parts of the Hague, and the population is diverse. The Shrub Area is part of the Valkenbos Quarter. It is almost purely residential, with barely any shops. The streets are narrow and the neighbourhood is densely built-up. The Regentessekwartier, or the Regent Quarter, was named after Queen Emma, regent for her daughter Wilhelmina in the last years of the 19th century. Construction of residences in this previously industrial area began in 1884. Many houses are in the Neo-Renaissance style, but the houses in the King’s Square are in the quaint, less grandiose, 19th-century chalet style. Behind the wide streets and large mansions in the centre are narrower streets and smaller houses. The neighbourhood has a non-Dutch majority and above-average unemployment. It is very densely built up, mixing middle-income and low-income residents. The more prosperous area is in the north. The Fruit Area is divided into two parts: a section also called Fruit and the Eyken Dunes. The neighbourhood has two cemeteries, and there are some shops in the area. The housing is 69% privately-owned, and the unemployment rate among the residents is low. The Trees and Bloemenbuurt area is divided into three sections: Trees, East Bloemenbuurt and West Bloemenbuurt. The neighbourhood has a higher than average percentage of older residents and senior citizens. The Trees area is densely built, but the Bloemenbuurt areas have green spaces. The homes here are usually houses or condominiums, and the neighbourhood is a bustling area with large roads and shopping streets. Vogelwijk is one of The Hague’s most prosperous and popular areas. It was created as a garden district called Houtrust, and its streets and public areas are named after birds (“Vogelwijk” itself means “bird neighbourhood”). It is still a very green district, with parks between several avenues. Vogelwijk has a high number of older residents. On average, incomes are high, with very low unemployment. There are many public areas for recreation, sports matches and cultural events such as concerts. Many of the houses were built in the 1920s, though some of these were demolished during World War II. Vogelwijk today has a very active neighbourhood association, and urban renewal has become a habit in the area since the post-war reconstruction. Part of Vogelwijk is on the North Sea coast. Its beach, the Zuiderstrand, is popular among visitors and locals alike for its white sands, clean water and broad, long expanse.